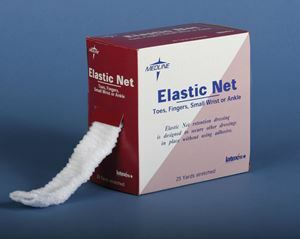 Stretched Elastic-Net by Medline Canada is designed to hold dressings in place and to reduce the time of dressing. Made up of Spandex knitted material, Stretched elastic is perfect for those having skin allergies. It is soft and provides comfort to the users. Accommodates any part of the body from head to toe.